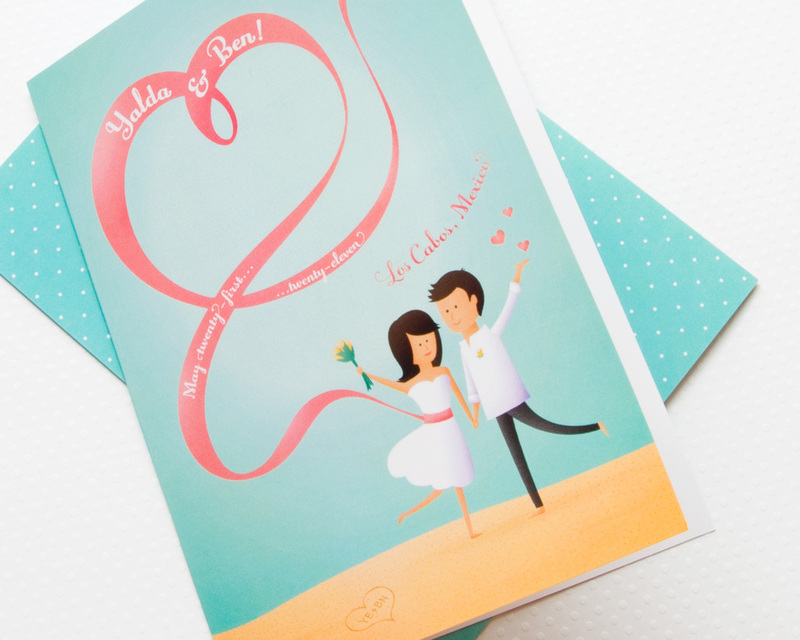 In celebration of the one-month anniversary of an extraordinarily cute couple's destination wedding in Mexico, it's a pleasure to share with you the invitations I custom-designed for them. 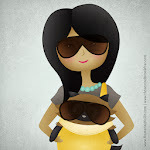 What I love about custom illustrations is how they are able to truly capture the personalities of their subjects. 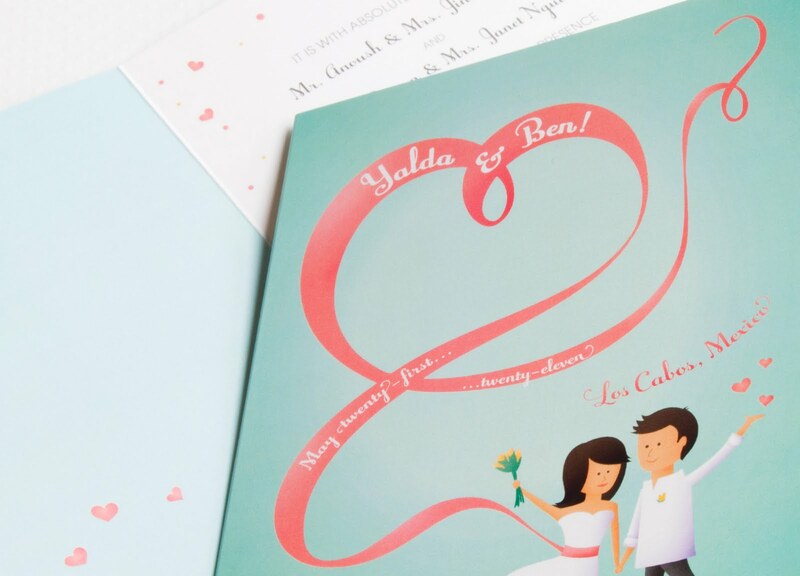 The front cover of Yalda and Ben's invites was designed to announce the tropical destination wedding of a romantic, fun-loving and stylish bride and groom-to-be. Much love and congratulations to Belda. I'm so happy to have been a part of your incredible wedding!